Newport Beach Harbor Commission does not recommend discounted program to City Council. NEWPORT BEACH — A one-year pilot program offering discounted sewage pumpout services for local boaters will not be happening anytime soon as the Newport Beach Harbor Commission decided against recommending the proposal to the City Council. Commissioners had been studying the one-year discounted sewage pumpout service for portions of this year but finally decided against a program recommendation at the Sept. 15 Harbor Commission meeting. Harbor Resources Department staff campaigned for the pumpout services in hopes of discouraging illegal discharge, improving the lower bay’s water quality and, potentially, prolonging the life of existing stations. City officials also hope the service would promote boaters to use moorings in Newport Harbor. However a sticking point was whether the discounted pumpout service would also be available to anchorage visitors who do not use Newport Beach’s moorings. At least one City Council member, during a study session in July, had expressed reservations about offering the service at no cost to boaters. The pilot program proposed making the discounted pumpout service available to mooring permittees three times per month. Boaters would not have been permitted to use the service for freshwater flushes, head repairs or unclogs. The city would have been prohibited from boarding vessels to perform pumpout services; instead a boat must have an external (and accessible) waste deck fitting. A $15 penalty fee was also proposed for canceled trips. Had the pilot program seen the light of day it would run for up to one year on a first-come, first-served basis. The program was slated to end earlier if funding was exhausted before its one-year anniversary. Newport Beach had issued a request for proposals (RFPs) to aid its search for a vendor to perform pumpout services and yielded responses from two vessel sewage companies: Mobile Harbor Services and Royal Flush Pumping Services. Obviously the RFP would no longer be active. Newport Beach Council member Marshall Duffield advocated for the one-year pilot program at the City Council study session in July, stating pumpout equipment is often down or malfunctioning. Sometimes pumpouts are damaged because of abuse or misuse, Duffy said. He added repairing a damaged pumpout station could cost $800. Offering a pumpout service could help the city preserve or extend the lives of the pumpout stations it owns. A map of Newport Harbor on Newport Beach’s website shows 10 public pumpout stations currently available to boaters; locations include Bayside Marina, Balboa Yacht Basin, Newport Dunes Launch Ramp, Balboa Yacht Club, Harbor Marina, 15th Street, Fernando Street and Washington Street. Only clean tap water can be discharged into Newport Harbor. 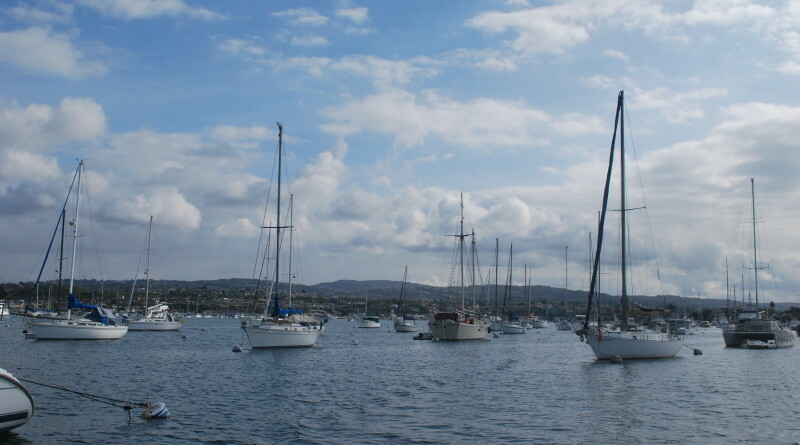 It is illegal to discharge waste, including greywater, into Newport Harbor. Questions about pumpout services at the harbor, including reporting an inoperative station, can be directed to the Harbor Resources Department at 949-644-3034. Visit bit.ly/2dCuFSK for more information on pumpout stations and environmental regulations in Newport Harbor.